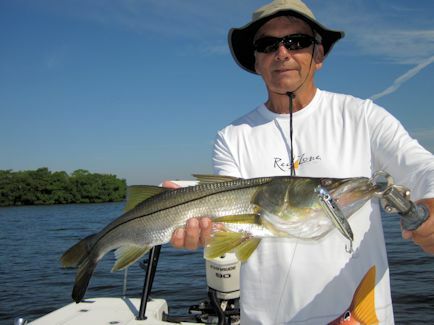 These varied and fertile fishing waters offer a wide range of species including snook, trout, redfish, cobia, flounder and tarpon. Many opportunities present themselves in Tampa Bay for traditional spin gear with artificials as well as for fly fishing. Over the course of a single day, anglers can be presented with numerous unique fishing terrain and the bounty of gamefish each has to offer. 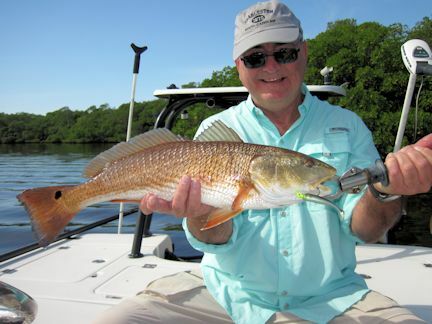 The abundance of deep water and shallow-water grass flats mean anglers will enjoy a wide range of different types of fishing in Tampa Bay. 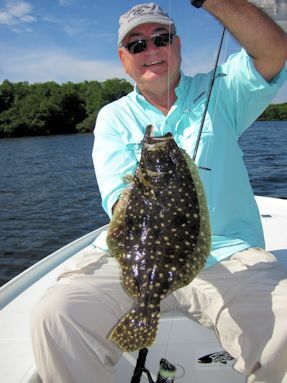 These varied and natural features make tripss here a natural for sampling much of what the Florida fishing experience is all about. Another advantage of the variety offered when fishing Tampa Bay is the possibility of scoring an inshore “Slam,” which consists of a snook, trout and redfish caught the same day. Because all three species inhabit about every part of the bay, all can be easily reached on a full day trip. Tampa Bay fishing charters depart from boat ramps close to the intended fishing grounds. About 25 miles from my home waters of Sarasota, we trailer to Bradenton or Palmetto to fish lower/south shore Tampa Bay, which are 6 or 8-hour trips only. *Price is for one or two anglers and includes lunch on a 6-hour trip and transportation to fishing area.